SPONSORS, THIS IS FOR YOU! If this is your first time writing, thank you! Just as you are interested to know about your child and family, your child is delighted to hear from you. Here are some guidelines to get you started! The purpose of writing letters to your Sozo child is to provide a consistent source of encouragement that he or she can look back on as they grow up. We would love for each letter you send or receive to build on each other. For example, you can keep the letters your child writes, and follow up with them based on what they write. If you shared something new in your life with them, you can send an update on that in your next letter. End your letter with a couple of open-ended questions for your Sozo child to answer and if possible, include pictures with your letters that show what you talked about in your letter. You can send as many letters as you’d like to throughout the year. However, please understand that letters are distributed roughly three times per year. Letters can be mailed to the Sozo Children office or emailed to the Child Resource Coordinator. Describe what your life is like. What is your typical day like now? What do you do at church/work/school? What are some interesting facts about your state/region? How do you relax? What is your biggest challenge at the moment? What are you learning right now? What are your closest family members like? How has God been faithful to your family? What are some recent changes in your life (workplace, moving, graduations)? Talk about your spiritual life. This will help shape your Sozo child’s journey as well. How did you become involved in your local church? How has God comforted you in trouble? What was the last sermon you heard or class study about? How has that impacted you? Explain how you are impacted by sponsorship. What is your prayer for your Sozo child? How do you remember the child throughout the week or month? What do you appreciate about this child? (Comment on recent letter, the child’s prayers for you, artwork in a letter, smile in the photo, or something else.) How can you encourage your Sozo child on any recent successes or milestones he or she has achieved? Your sponsor child is graduating from the Sozo Children Sponsorship Program! What do I include in a “goodbye” letter to my sponsor child? In Uganda, we say “See You!” instead of “Goodbye” because we know that goodbyes are never truly forever. Click here for some tips on writing your “See You!” letter. ✖ Elaborating on your material possessions (for example, the size of your home or kind of car you drive). This will only accentuate the difference between you and your child. ✖ Suggesting that your sponsored child visit the United States. ✖ Using slang or colloquialisms that would be difficult to translate or understand. ✖ Asking the child what they want as a gift from you. The kids are told not to ask for things from you out of respect, so please send any questions about gifts to the Child Development Coordinator. ✖ Asking the child you sponsor if they have a boyfriend or girlfriend. Children living in the Sozo homes are not allowed to date before college, but more importantly, asking this question could create shame or confusion by implying that they are “supposed” to be dating. Growing spiritually and excelling in school are our two main focuses. If this is your first time Skyping, thank you! Skyping* is a unique way to connect with the child you sponsor in a meaningful way! Each holiday, Sozo children look forward to the encouragement, love, and joy they receive through Skyping with their sponsors. Sponsors get the opportunity to video chat with the child they sponsor three times per year, and they are notified via email for scheduling. All Sozo children have the opportunity to Skype. Skyping (video chatting) is an opportunity to talk with the child you sponsor face-to-face and stay updated on their life. Skype calls last between 15-30 minutes. Come prepared with a few open-ended questions to ask your sponsor child. Remember that a Sozo staff member is there to help facilitate the call and translate when needed. Don’t hesitate to ask for help if you need it during the video chat! Please understand that video chatting is new for some Sozo kids, and they might be shy at first. This does not mean that they are disinterested or not enjoying the Skype. It gets better with time. Thank you for your patience and understanding! Remember to encourage the child you sponsor to ask you questions as well. 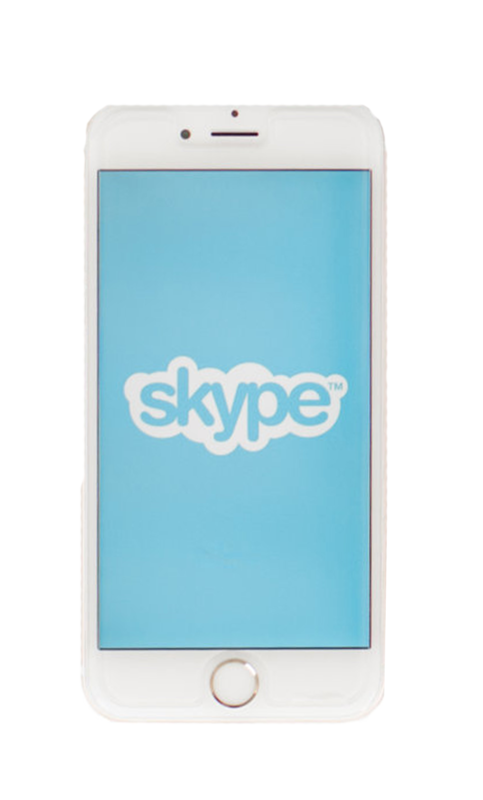 *If you are unable to Skype, we can also make accommodations to video chat via FaceTime. School: What are you doing over your holiday break from school? How did you like school last term? Who was your favorite teacher last term? What was that teacher like? What happened during a typical school day? What is your typical day like now? Personality: What are some of your favorite things to do? What goals have you set for yourself? How much progress have you made? What’s your favorite holiday? How would you describe the sights, sounds, smells, tastes of that holiday? What are your close family members like? Spiritual: How can I be praying for you? How have you seen God teaching you things this school term? What was the latest sermon you heard or class study about? How has it impacted you? E — Explain something new (since the last time you talked) about yourself or your world. A — Ask your sponsored child open-ended questions. T — Ta ta! Say your goodbyes. This is a great place to share a Bible verse, a word of encouragement, and prayer requests. Understanding AN UGANDAN REPORT CARD. The academic grading structure in Uganda is very different than rubrics in America, so we've created a guide to help you understand your child's report card. Click the button below for a downloadable PDF.